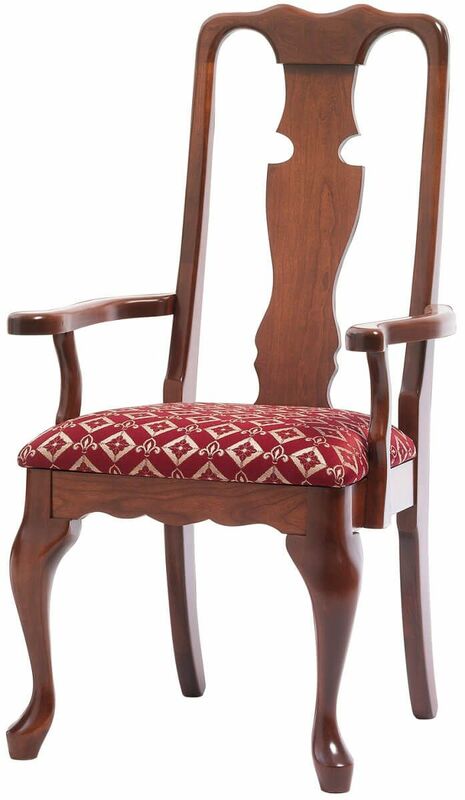 An ornate splat is regal in our solid hardwood Queen Victoria Dining Chair which sits atop domestic Cherry cabriole legs in true Queen Anne style. 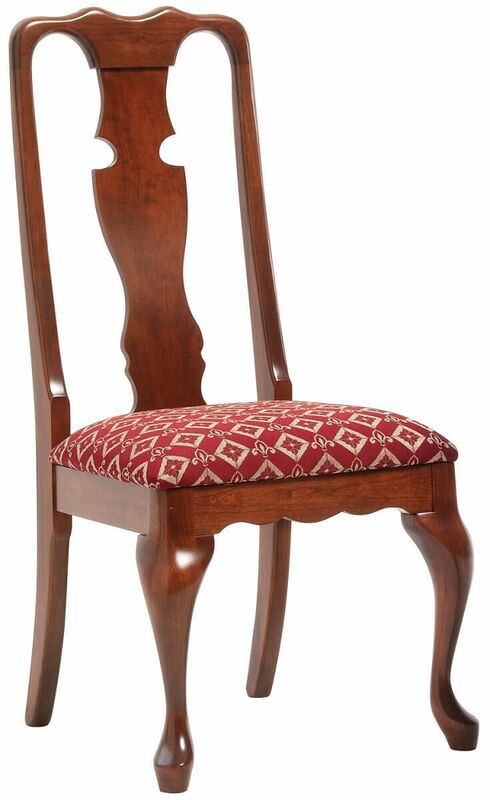 Your Queen Victoria Dining Chair is elegant with cabriole front legs and arched skirt. Constructed with solid wood, handcrafted to perfection, and finished with a catalyzed conversion varnish, this formal dining chair will be serving your family for generations. We provide a wide variety of wood types and upholstery to ensure a reflection of your most prominent self. Use our online Design Your Piece menu to create your one of a kind Queen Victoria Dining Chairs. Complete your Queen Anne inspired dining set by shopping our Evendale Collection.